Our partner companies offer you a variety of possibilities to hold small and medium-sized meetings and conferences. A colourful supporting program rounds off your event and makes it an unforgettable experience for the participants. We offer a charming and exceptional setting with historical ambience for your events. Several rooms with flexible seating allow for a variety of differnt uses. 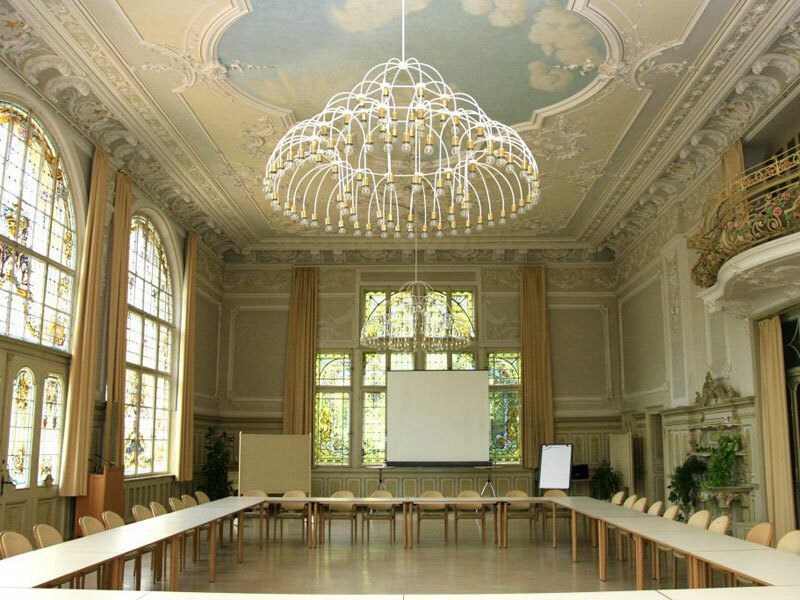 Five conference and banquet rooms are located in the historical part of the house. The showpiece are two modern, air-conditioned rooms: “Taubertal” and “Winterbach”. The outstanding Franconian and international cuisine guarantees the right balance after a strenous meeting. We would be happy to arrange suitable supporting events for four function. A total of eight conference, seminar and event rooms: for all kings of occasions with 32 sqm for up to 150 people. 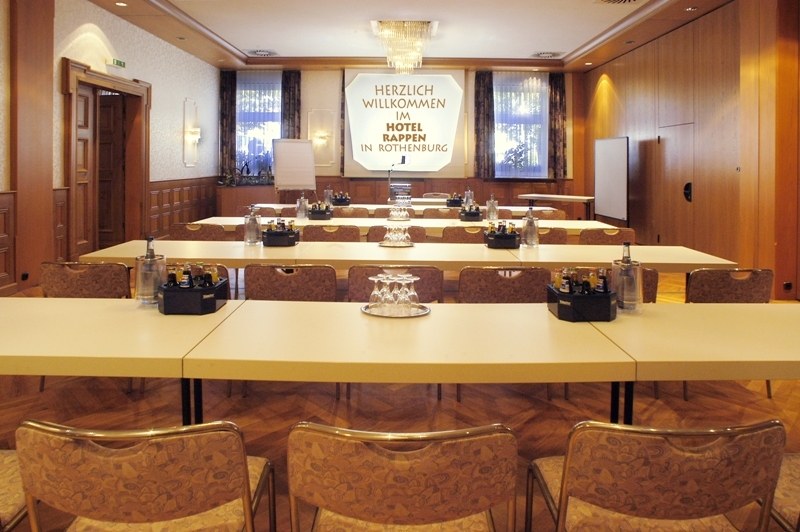 Whether it’s a conference, a meeting, a seminar – the Wildbad offers an atmosphere that stimulates creativity, supports personal development and promotes personal communication. Nine conference rooms equipped with modern conveniences are available – for anything from intensive discussions in small groups up to presentations intended for more than 300 people. The extraordinary ambience of the Wildbad provides an exclusive setting for special events at the highest level. Our kitchen will be happy to spoil you so that your company anniversary or your family celebration will be an unforgettable experience. 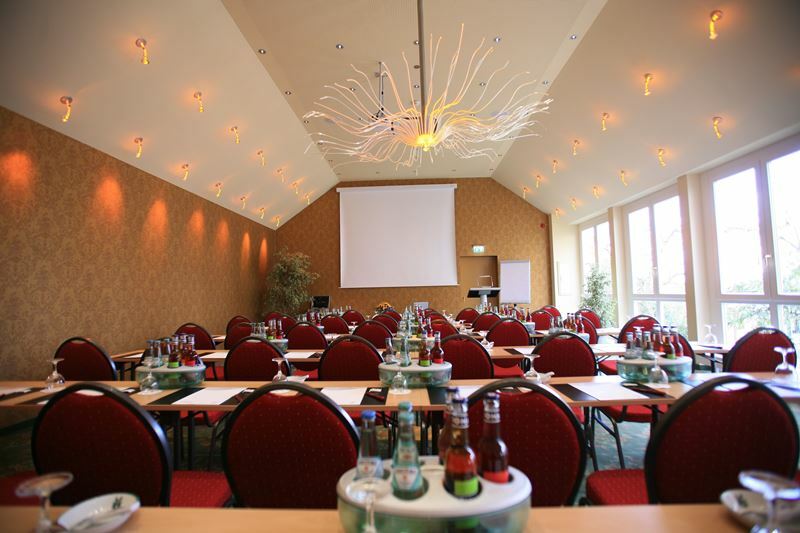 Professional conference management – You can rely on us to make your conference a success! A variety of air-conditioned rooms is available for your event and can be partitioned individually or opened out to create one large space. All conference rooms are air-conditioned, wheelchair- accessible and bright and can be completely darkened as necessary. Overnight accommodation comprises 104 newly renovated rooms. There is also a sauna and gym area. Our kitchens will spoil you with international dishes as well as typical Franconian specialties. There is a large, free car park, which can also be used as an exhibition space, directly behind the hotel, right in the heart of Rothenburg. The Rappen offers you perfect service and professional organization both before and during your event. We look forward to seeing you.